The following key ratios have been taken from page 1 of Volvo Group’s 2014 annual report. 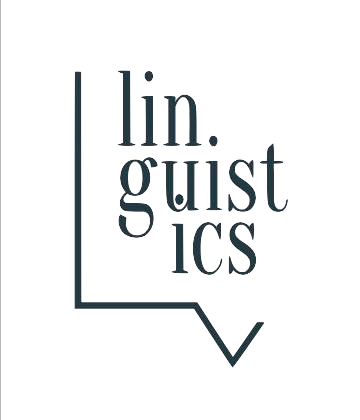 Based on the figures shown, complete the text using the proposed vocabulary. Scroll down below for answers. Net sales __________ by 4% to SEK 282.9 billion (272.6). Operating income _________ restructuring charges amounted to SEK 8.4 billion (7.9). Operating _________ excluding _________ charges amounted to 3.0% (2.9). Improved underlying profitability with good _________ in the activities to improve efficiency and _________ the cost base. Increased cost-savings scope in addition to the Strategic Program. _________ financial position – at year end net debt in the Industrial Operations amounted to 14% of shareholders’ equity. _________ dividend of SEK 3.00 per _________ (3.00). Net sales increased by 4% to SEK 282.9 billion (272.6). 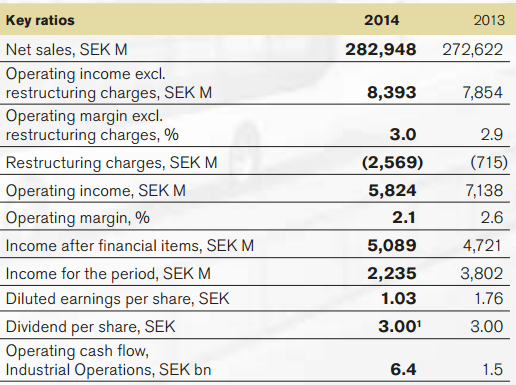 Operating income excluding restructuring charges amounted to SEK 8.4 billion (7.9). Operating margin excluding restructuring charges amounted to 3.0% (2.9). Improved underlying profitability with good traction in the activities to improve effi ciency and reduce the cost base. Increased cost-savings scope in addition to the Strategic Program. Strengthened financial position – at year end net debt in the Industrial Operations amounted to 14% of shareholders’ equity. Proposed dividend of SEK 3.00 per share (3.00).